When teaching medical students at a famous university in London, one of us would initiate the first tutorial with a question: what is the essence of an education? If you are sitting next to someone at a dinner party, how do you decide how educated they are? Is it about where they studied and how many diplomas they have? Or is it about an attitude to life that involves curiosity, independent judgement and pursuit of the truth? In which case, how does one acquire an education? 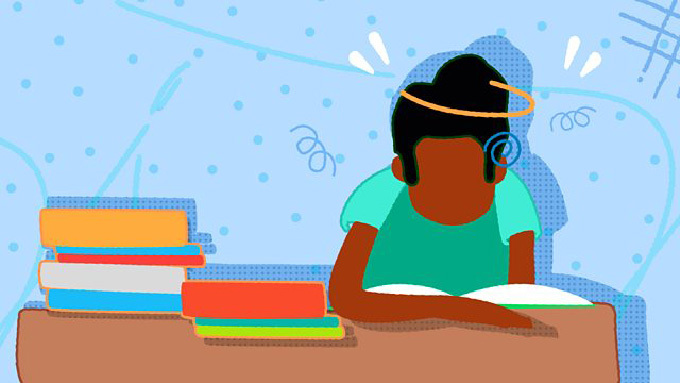 Students’ focus on exams is the bugbear of many academics. Another discussion one of us had with a group of our students about their grades quickly turned into a passionate attempt on their part to negotiate their Cs up to Bs, on the grounds that “hard” marking would otherwise impair their career prospects. Asked what they understood to be the requirements for a B, they retorted that this should have been clarified at the beginning – and were unimpressed by being reminded that they hadn’t asked. Academics are constantly surprised by modern students’ apparent belief that all marks are negotiable. Perhaps this is less common in the sciences, where there is typically one correct answer. But well over half of psychology students, in our experience, specifically request first-class grades for work that they submit, and routinely question markers’ judgements even when those judgements have been moderated by a “blind” marker. Responding to such challenges can involve a great deal of work and some academics give in, leading to widespread grade inflation and precluding the really bright students from distinguishing themselves. On our travels, we are often buttonholed by frazzled, middle-aged faculty members asking whether students today are genuinely different from those of previous generations, or whether it just seems that way because the faculty member in question is getting old and grumpy. A raft of research suggests that their perceptions are real. One example is a 2010 study titled “Birth cohort increases in narcissistic personality traits among American college students, 1982–2009”. Based on a survey of nearly 50,000 students across more than 100 US campuses, alongside more detailed analysis of one campus cohort, the study reports significant increases in narcissism over the past few decades. This generation gap between students and faculty members (even younger ones) might be an underestimated cause of workplace stress. Narcissism relates to a grandiose sense of self-importance and uniqueness; fantasies of success; exhibitionism requiring constant attention and admiration; and a sense of entitlement leading to an expectation of special favours without reciprocation, resulting in interpersonal exploitation. And that means you. Perhaps parental overpraising is to blame. Children in the past were seen and not heard, but today they are led to believe that they are always enchanting and perfect. This makes them increasingly likely to believe that they are above average in things such as academic ability, writing skill and drive to achieve, even though there are no measured changes in actual talent over the generations. Having made the diagnosis, here is our prescription. First, frequent and consistent feedback is necessary to convince those students who are not as good as they think they are to work harder. Twice termly evaluations are not enough. Explain specifically and early why they are being expected to perform each task; don’t expect a sense of duty to motivate. And ask students what they think the point of grading is; explain that the rigid system employed is not amenable to changes after the fact, and encourage mutual feedback so that students develop their own critical values. It may sound as though we are complaining about the modern student. What we are really contending is that faculty need to grasp this contemporary personality revolution if they are to resolve deep paradoxes confronting universities today. For example, students’ techno-savviness has encouraged institutions to put resources and lectures online. Yet this easier access to “knowledge” has paradoxically meant that students want more contact with staff in small tutorials – which, as those from the Oxbridge system know, is expensive. A 2016 UK study, “Her Majesty the student: marketised higher education and the narcissistic (dis)satisfactions of the student-consumer”, concludes that universities’ pursuit of student satisfaction merely exacerbates these new consumers’ narcissism and aggression. To return to the question with which we began, what distinguishes an educated person is not an elevated sense of one’s knowledge and intelligence. It is, instead, humility arising from an ever better comprehension of what we don’t know. And that can only be instilled by being confronted at university with genuine intellectual challenge – and learning to rise to it. Author Bios: Raj Persaud is a consultant psychiatrist in private practice in Harley Street, London, visiting lecturer at the University of Buckingham and co-author of the forthcoming book, The Streetwise Person’s Guide To Mental Health Care. Adrian Furnham is professor of business psychology at the BI Norwegian Business School.